Local and international leaders agreed yesterday that Puerto Rico's new energy model has to maximize renewable sources, allow generation at family and community level, and consider the effects of climate change, which would better position the island in the face of climate events like Hurricane María. 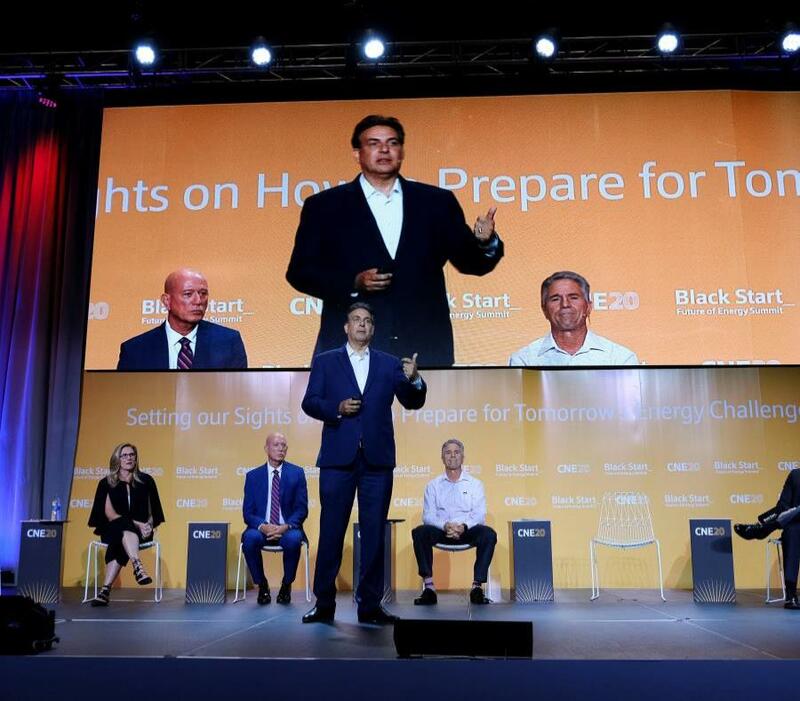 Experts gathered at "Black Start: Future of Energy Summit" -an event organized by the Center for a New Economy- also noted that, in order to guarantee the necessary changes, the role of the Puerto Rico Energy Bureau must be strengthened, it should have more budget and better oversight and regulation tools, without compromising its autonomy. For the experts, with a powerful regulatory commission, building microgrids, solar communities and energy cooperatives, among other models, would be faster and more effective. Panel after panel, the speakers repeated that Senate Bill 1121, which would create the new public policy and energy regulatory framework, addresses their recommendations, so they urged the Legislature and the government to approve it as soon as possible. Senators Larry Seilhamer and Eduardo Bhatia, who attended the event, anticipated that the measure will be finally endorsed next Monday. "Rules have to be clear to attract investment to Puerto Rico, and those rules have to consider climate change. Transparency and citizen participation are key tools," said Fred Krupp, president of Environmental Defense Fund, an organization that, in partnership with others, will provide funding to build microgrids on the island. Microgrids are among the recommendations that the Southern States Energy Board (SSEB) issued for Puerto Rico after María. Kenneth Nemeth, SSEB Secretary and Executive Director, added that a "functional plan" for emergency management is necessary for a resilient infrastructure, and that the location of renewable energy projects - solar, for example - in closed landfills should be considered. Another organization that issued post-María recommendations was ReImagina Puerto Rico, whose executive director, Malu Blázquez, stressed the urgency of modernizing the transmission and distribution system, fostering energy efficiency and promoting intelligent consumption (in line with demand). While energy experts were on the third floor of the Puerto Rico Convention Center, Resident Commissioner Jenniffer González was on the first floor at the 2019 American Liquified Natural Gas (LNG) Summit on the development of infrastructure and the future of LNG imports among other issues. For Ruth Santiago, a lawyer representing organizations such as El Puente; Latino Climate Action Network (Enlace Latino de Acción Climática) and the Salinas Environmental Dialogue Committee, the government's intention to multiply natural gas generation "does not make sense. "But what makes the least sense of this Integrated Resource Plan is the proposal to build three offshore gas terminals, a land terminal and up to four new combined-cycle plants," Santiago said to the applause of those present at Black Start. During the event, the comparison between Puerto Rico and Hawaii was constant, both for their island condition and for their potential with renewable sources. Hawaii set the goal to reach 100 percent clean generation by 2045, this year it will reach 50 percent. In an aside with the press, Lorraine Akiba, former commissioner of the Hawaii Public Utilities Commission and president of LHA Ventures, suggested that Puerto Rico should consider the conversion of garbage to energy ("waste to energy") as a renewable source, specifically biomass. Gov. Ricardo Rosselló withdrew his endorsement of the incinerator that Energy Answers proposed for Arecibo, but left the door open for other projects with this technology. "We do it in Hawaii because we have a big solid waste problem and it has worked. It may be an option for Puerto Rico, but there must be dialogue. There should be studies (on the subject), but it can work if it is properly regulated and without environmental contamination," she said. In addition, she suggested using methane gas from landfills to generate energy. The landfills in Fajardo and Toa Baja already have such projects. Also from Hawaii, David Bissell, president of Kauai Island Utility Cooperative, the only energy cooperative in that state, defended the model because it "serves the needs of customers," who are also partner-owners. He said they were able to access federal funds, "despite being a small cooperative," and that aid after an emergency is faster.